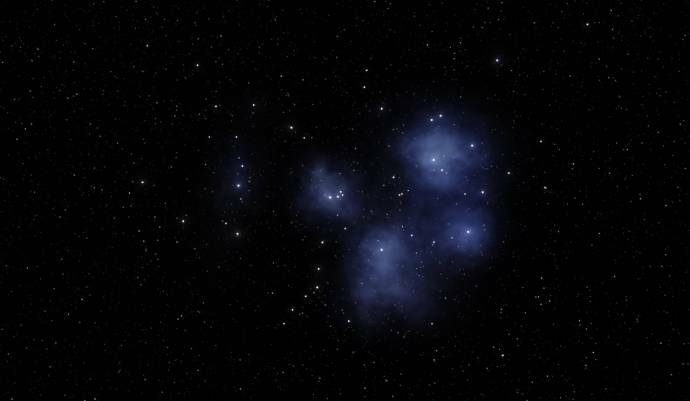 * A update to some of my flares - AstroNiki flares and AstroNiki ghosts. (note the high caps N) Look best with flare size at 3. Adjust bloom until you can just about make out Suns disc from Earth. I consider all the other Astroniki ghosts and flares as obsolete as some of them were work in progress or outdated. Using the pak system so installation is easy. Simply copy the contents of the zip into SE main directory. This will only overwrite galaxies/models.cfg and nebulae/models.cfg in the models folder. Always remember to delete the cache folder in the main SE folder after you install. I have provided an image on what I'm saying. Whoops, accidentally posted the code you supposed to remove instead of mine :). It's fixed now, try again. good job looks amazing but i have low fps if i go near it. Yea im getting some FPS issue with this as well. not sure if its the fact that there are too many particles in the region. 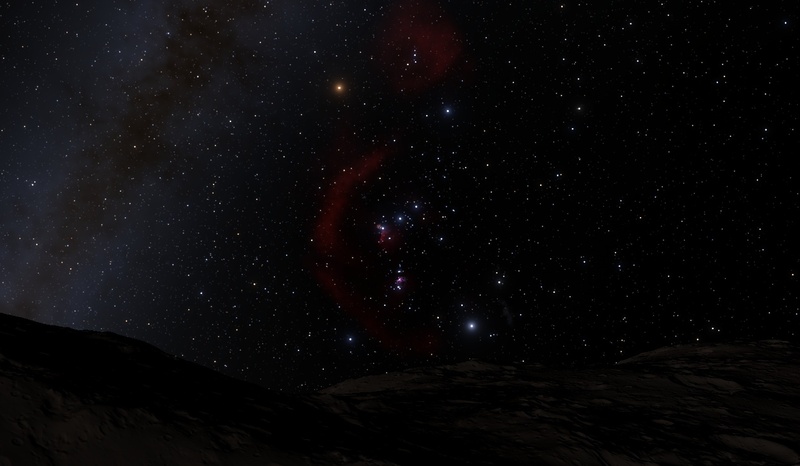 The low fps seem to be mostly due to the Horsehead nebula. I've updated the models.cfg code with rebalanced values and the fps have gone up. It looks slightly more chunky now. 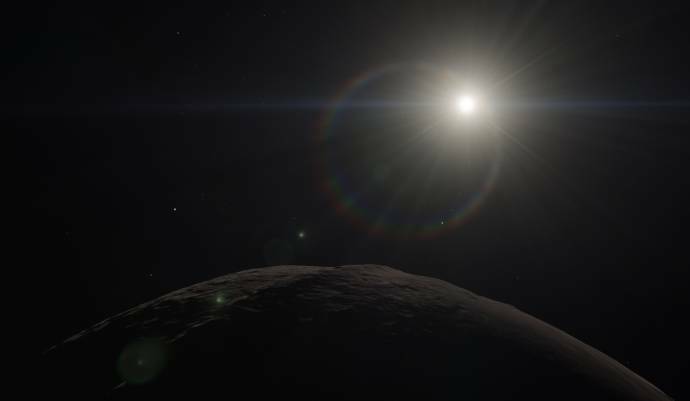 Have you tried going to our solar system after installing this addon? You may find that it has mysteriously disappeared. Also a lot of errors about this are shown in SE console accessed with the ''~'' key. Solution: If that is the case then go to your SE\catalogs\Catalogs0973.pak and extract Stars.sc from \stars subfolder. Open it with notepad and do a small change like inserting a space and deleting/undoing it then save it and repack it back to Catalogs0973.pak\stars\subfolder overwritting the old one. Problem solved. Have you tried going to our solar system after installing this addon? You may find that it has mysteriously disappeared. this bug also appears if your not using any mod. astroniki, you forgot to mention one very important thing: any models being replaced must be deleted from the cache, otherwise the new model will not generate. This is especially important for M42. 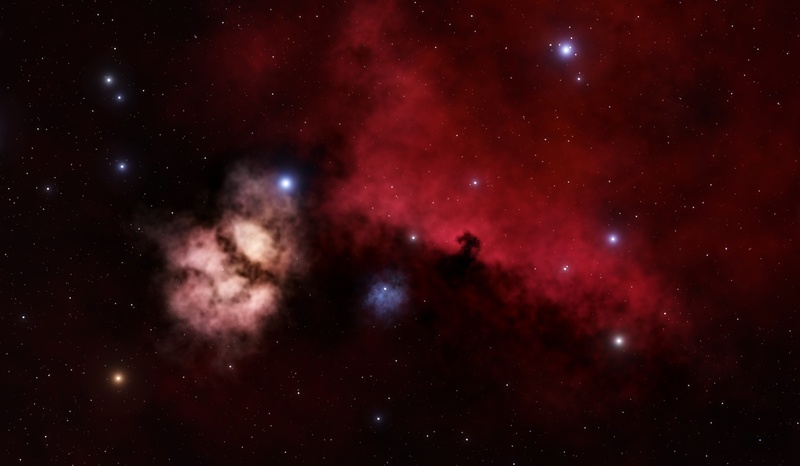 There's an issue with the Horsehead Nebula complex as well: it's supposed to be located near Alnitak; that is the star which is ionizing the nebulae. As for the models themselves, they're beautiful, especially M42 and Barnard's Loop! Though the Horsehead Nebula would benefit from being a separate object, since you could increase the abs sprite density without as large of an FPS drop. n0b0dy, if you're adding the star data to stars.sc, you should extract the star catalog from the .pak and add to it, not create a new file, and certainly not edit anything in the .pak. There should never be any need to edit anything in a .pak file. I added the mod in 0.9.7.4, and had no problems. Wikipedia puts and Alnitak at 387 ± 54pc, (in Space Engine it's at 250pc) the horsehead nebula at about 460pc, so they might not be that close. Anyway i've assumed that NGC 2023 ( the blue reflecting nebula below the Horsehead) is somewhat near the Horsehead and flame nebula and i've put them so the star HIP 26816 (471pc in Space engine) is inside blueness of NGC 2023. Star "Alnitak/Zet Ori/50 Ori/HD 37742"
Thanks for the input folks, i'll be tweaking the model and releasing updates later. I read the OP at least twice and somehow my eyes missed that each time. Sorry. 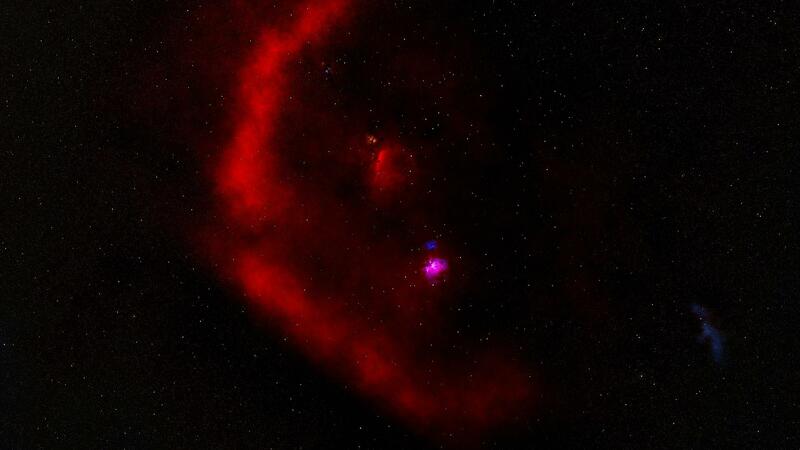 The bright star Alnitak (ζ Ori), the easternmost star in the Belt of Orion, shines energetic ultraviolet light into the Flame and this knocks electrons away from the great clouds of hydrogen gas that reside there. It also says the Flame Nebula is 415 pc away and Alnitak is 387 ± 54. 415 = 387 + 28. 28 < 54. So their distances are identical within the margin of error. The best solution IMO is to move both Alnitak and the nebula complex to 415 pc distance. Model is very good, but have too much particles (>250k total). Even on my ПЕЧ780 and 6-core CPU I encounter large FPS drop. The most massive model must be simplified. Maybe remove dust particles from the loop nebula? I've updated the models.cfg code in the original post. Now all of the nebulae have 78k particles in total without a very noticeable drop in quality. Let me know if it works properly. I'll do the catalog distance fixes as HarbingerDawn suggests later on. Maybe remove dust particles from the loop nebula? These are my favourite particles. 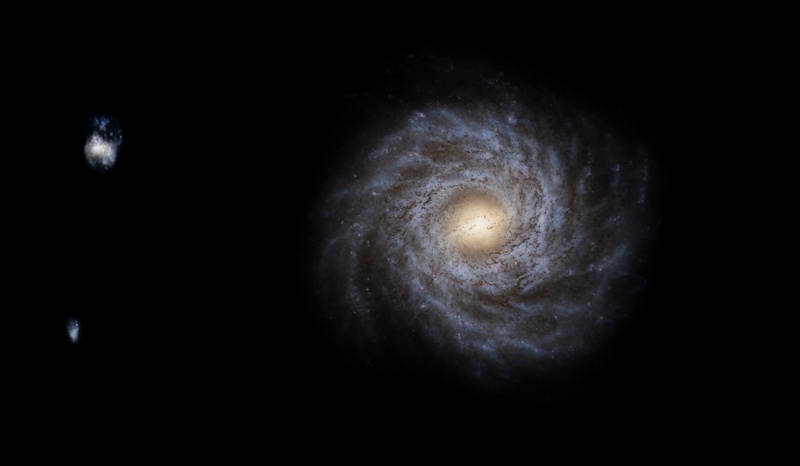 There's only a few of them but their size allow the whole complex to blend in into the galaxy's dust particles. What always bothered me was tiny nebulae surrounded by crystal clear space. That's how i think it should work when we have procedural nebulae - large scale galactic dust lanes blended in with smaller knots of nebulae with even smaller details in them.